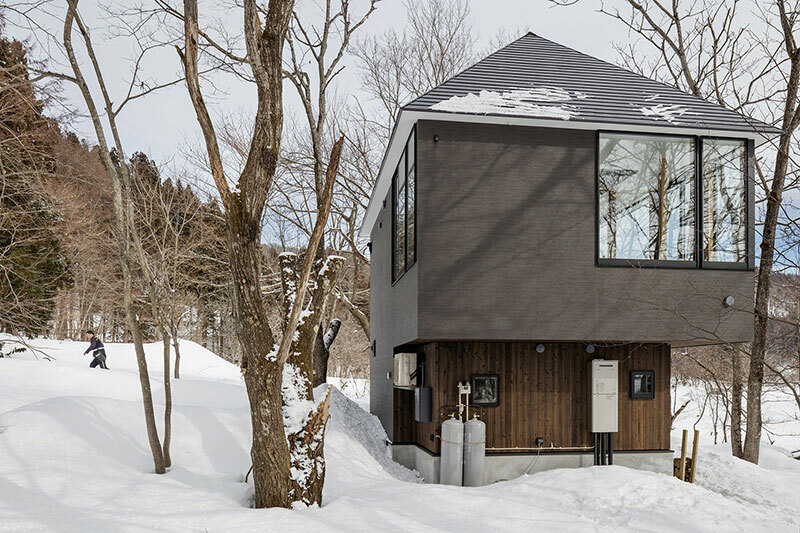 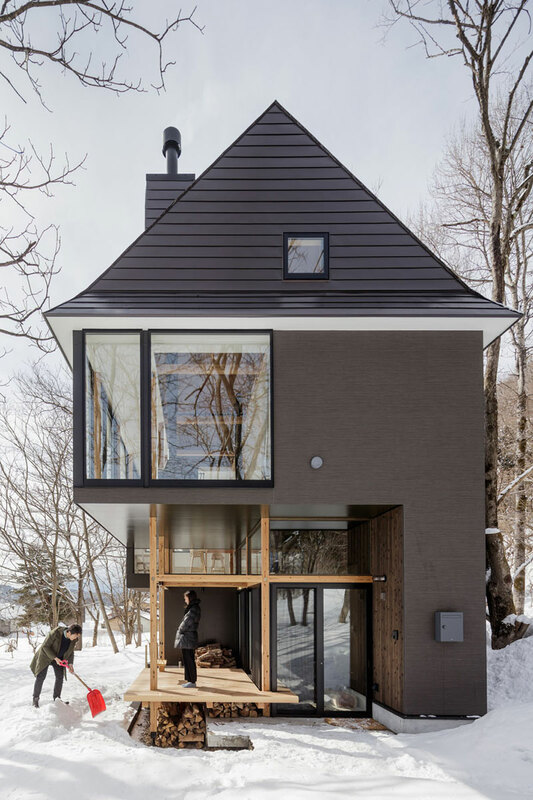 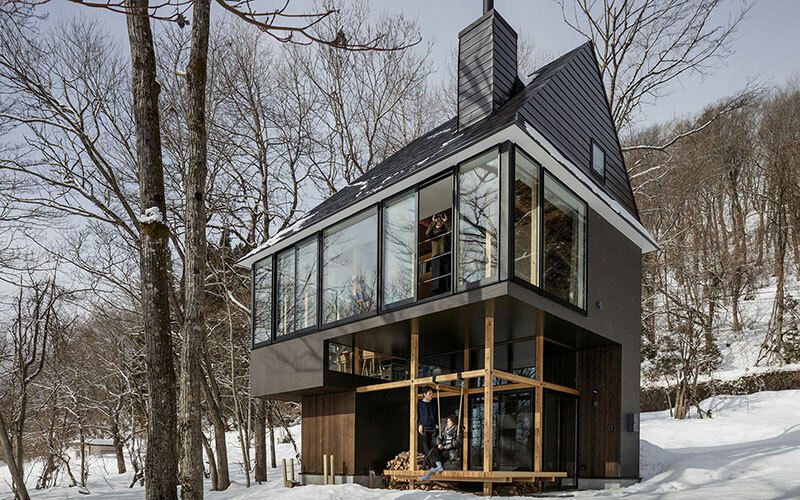 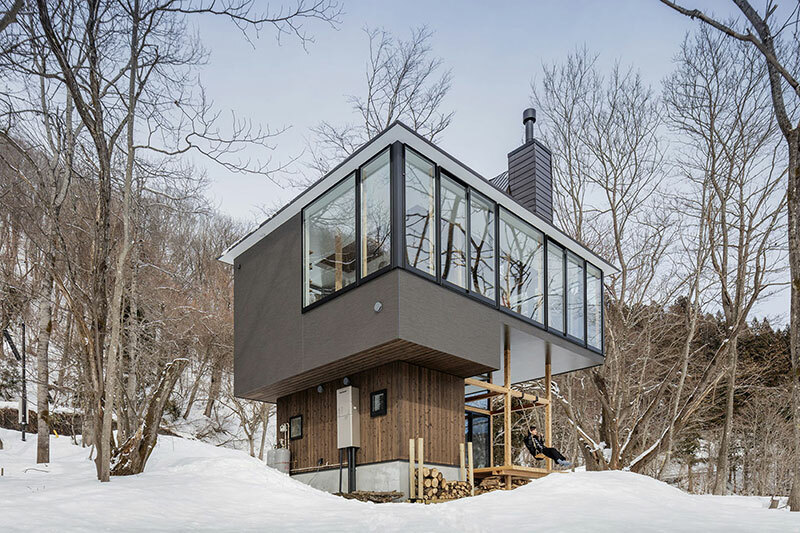 This cantilevered house overlooking Nojiri-Ko Lake in Japan by Tokyo-based studio Sugawaradaisuke consists of five interlocking levels that creates multiple viewing perspectives of the surrounding forest. 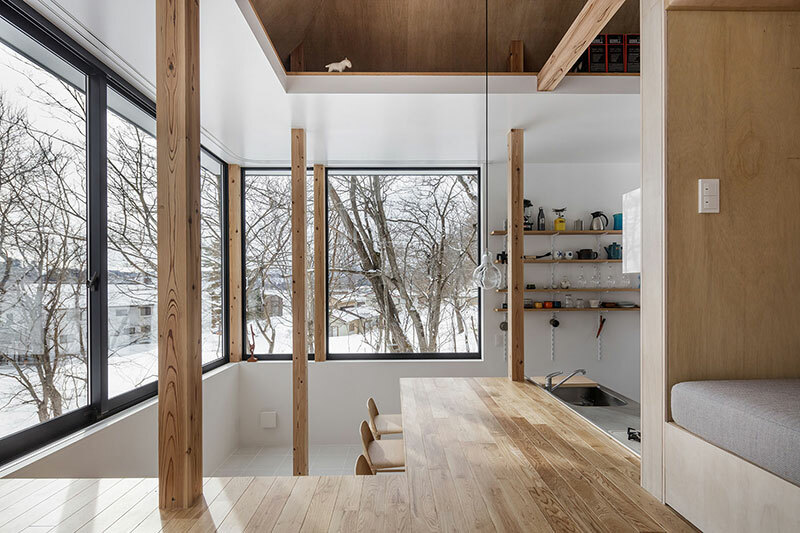 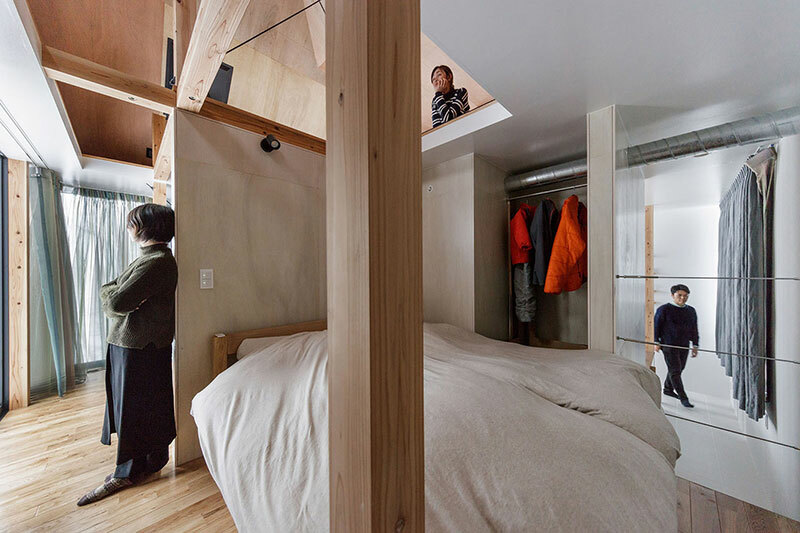 Each of the five levels is made from different materials in varying heights and sizes so that floors double as tables, benches, shelves, and even beds. 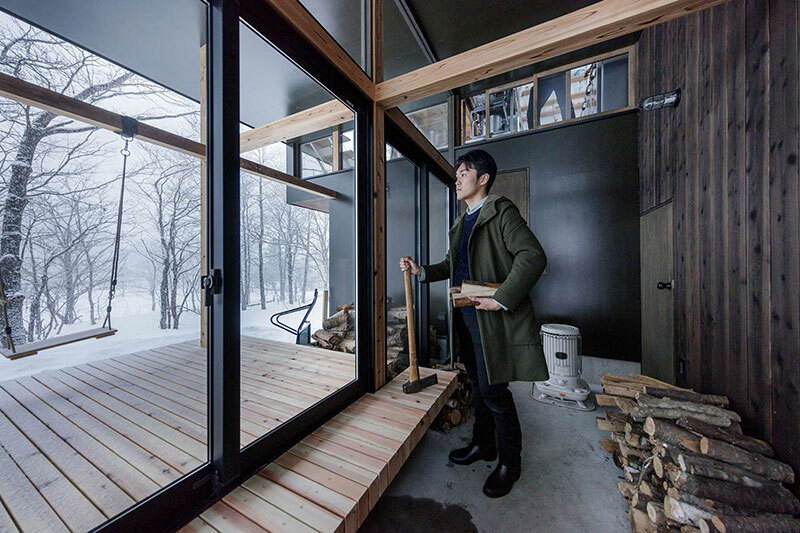 The ground level is a semi-indoor space for storing firewood. 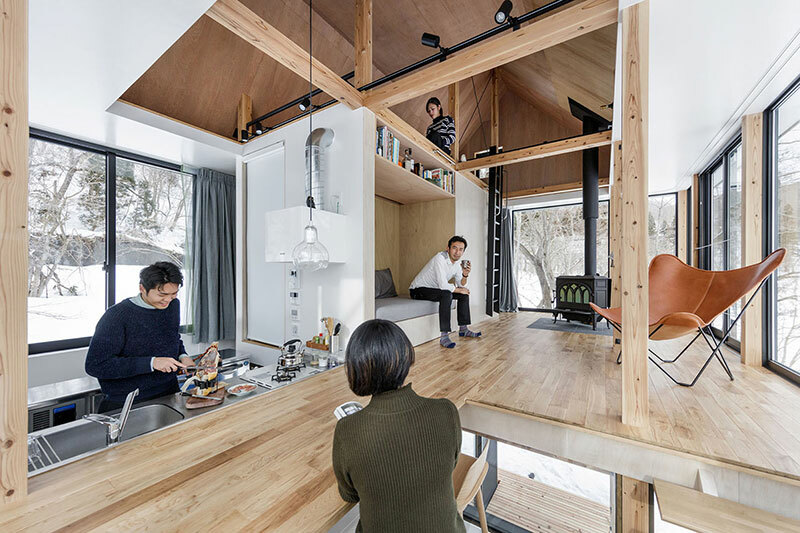 The second platform has a raised timber patio with a swing attached. 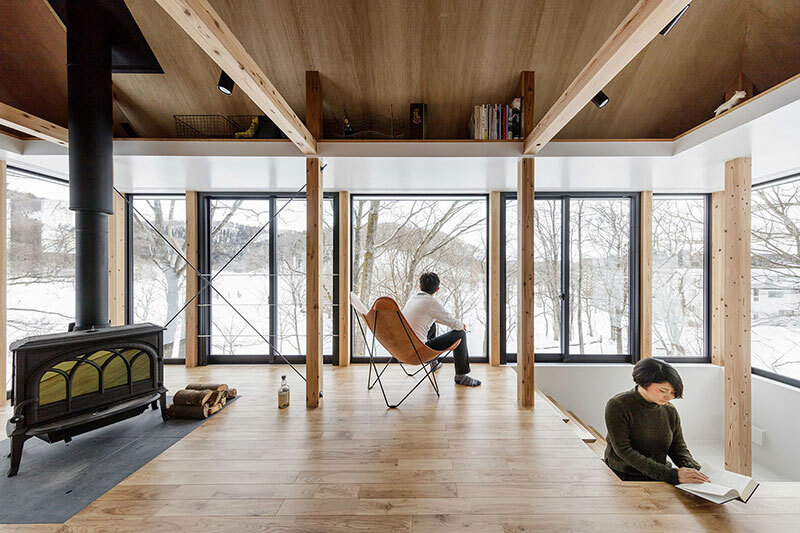 The third level, which merges into the fourth level, is the living space that functions as both the dining and lounge area and the top level houses the double bedroom, with an additional room under the eaves that can be used as an additional sleeping area or a bunk room of sorts. 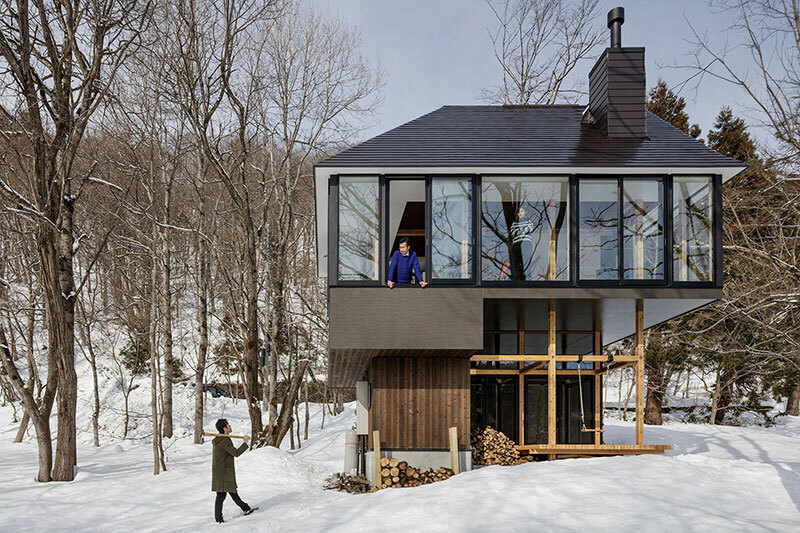 This cantilevered house overlooking Nojiri-Ko Lake in Japan by Tokyo-based studio Sugawaradaisuke consists of five interlocking levels that creates multiple viewing perspectives of the surrounding forest.